What if Mr. Rogers lived in Gotham? In this and a couple of subsequent posts, we will analyze an example Autoantigen Array data-set. In this post, we will load and examine an example data-set that requires normalization before statistical tests of hypotheses and other analyses can be performed. The Auto antigen Arrays provide good instructional value as they are quite small by typical microarray standards. The size of the data is therefore easier to visualize and otherwise explore. Additionally,the small size presents some complications with respect to data normalization which are also of interest from an instructional perspective. In subsequent posts, we will develop our own custom normalization approach and run a full analysis off the data. Our analysis will involve 10 samples that were assigned to the first 10 of the 16 blocks of a single Autoantigen Array slide. As all samples were run on the same slide, batch/slide effects will not need to be modeled. The data is therefore a subset of the two (i.e., ct3 and ct5 scan) GenePix output files that were generated for the slide of interest. The cy3 scan data provides relative IgG autoantigen abundance quantifications and the cy5 provides quantifications for IgM autoantigens. We will also make use of aheatmap function from the NMF library. ##  "Ribo phaspho protein P1"
##  "Ribo phaspho protein P2"
##   "NOD.B10.1" "NOD.B10.2" "NOD.B10.3" "NOD.B10.4" "NOD.B10.5"
##   "BL.10.1"   "BL.10.2"   "BL.10.3"   "BL.10.4"   "BL.10.5"
##  "Exp1.F0"   "Exp1.MZ"   "Exp1.SpB1" "Exp1.PrB1" "Exp2.FO"
##  "rep.1" "rep.2" "rep.3" "rep.4"
Each block on the array contains 196 spots, with 94 of the 96 assays conducted in duplicate and two assays conducted with four replications. The assays with four replications are of the control variety, and we will sidestep them at this time. The first 5 blocks of the slide contain the results for strain “A” of mice while blocks 6 through 10 contain the results for strain “B”. At the time of this blog, the manuscript analyzing this data has yet to be submitted for review, so the exact strain identities have been masked. The GenePix scan results for the the slides can be inspected using an R Shiny app included in the provided library. 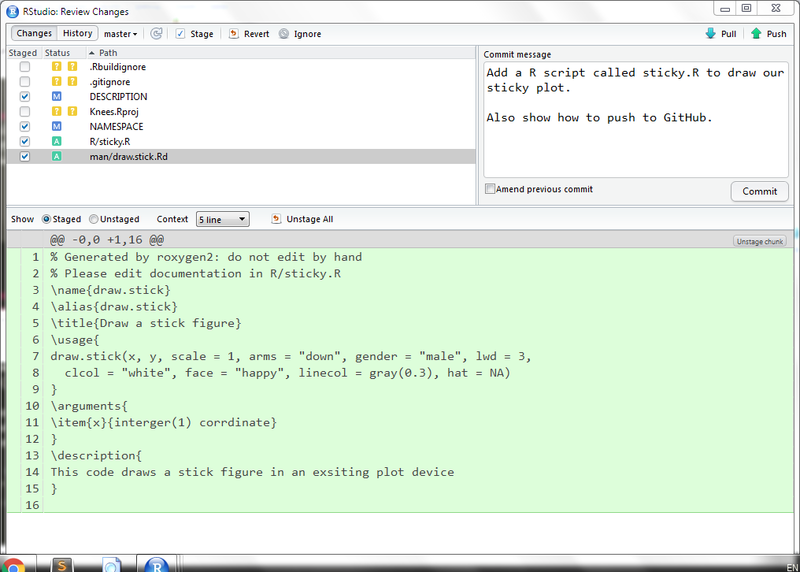 The GenePix data can be examined using an admittedly crude custom Shiny app provided by the AAarrayExmpl library. ##  - attr(*, "class")= chr "AutoAnt"
where X_raw_1 consists of the assay values for the first of each pair of duplicate assay values listed in the GenePix output. Similarly, X_raw_2 consists of the assay values for the duplicates that are listed second. Although it is a common practice to average the replicate values at the early stages of an analysis and carry a single matrix forward, we will keep them separate for the time being. The AAplotDens function in our AAarrayExmpl library provides a convenient function to display kernel density estimators (Wikipedia Link) of specified subsets of the data. 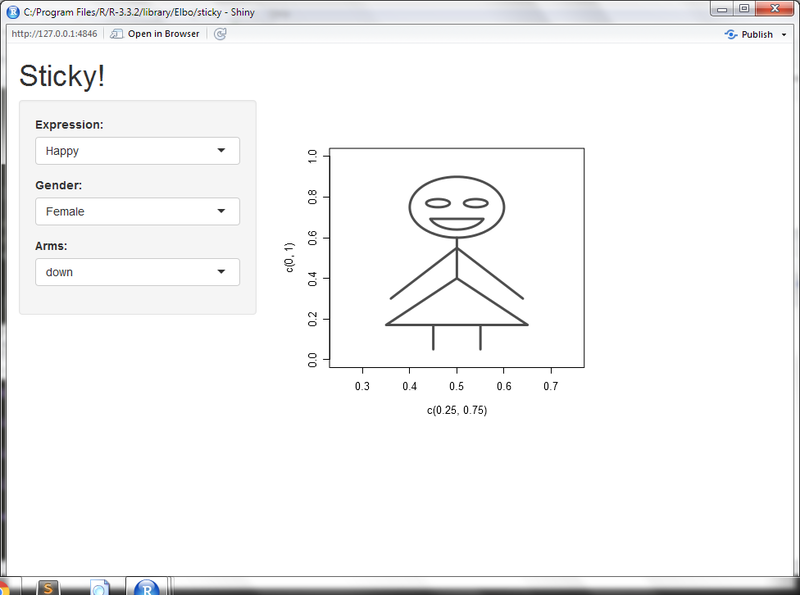 We make use of the function to visualize the distributions of the 10 samples of interest to us. Note that we color code samples from strain A with different types of reds and samples from strain B with different types of grey. Inspection of density estimates for IgG and IgM signal and background quantifications indicate that data normalization is required. For example, the samples from strain A exhibit are not all similarly distributed as one would expect. The variability observed across the different samples is most likely a result of technical variability rather than biological variability. The difference in background signal distributions suggests that the differing amounts of overall material were labeled/assayed for the various samples. Plots of background versus spot quantifications across samples (using the same color scheme) also indicates differences in underlying distributions across samples. The NMF R library provides a function, aheatmap, which generates annotated heatmaps (Wikipedia Link). Heatmaps of IgG and IgM signal quantifications confirm that the scale of measurements differs significantly across the 94 autoantigen assays. The “.x” suffix indicates the spot replicate. Comparison of “.1” and “.2” columns for a given sample, speaks to the agreement between replicate assay measurements. Heatmaps using uniform rank-its (i.e., rank values scaled to the unit interval) of the assays values provide better contrast for visualization. Inspection of the heatmaps reveal that the different autoantigen assays have distributions of different centers and scales. The AAplotByMean in our AAarrayExmpl library provides figures which plot the observed signal assay values as a function of the magnitude of the center of each assay. We utilize the Tukey Trimean (Wikipedia Link) to estimate the centers of each assay distribution rather than the mean so as to minimize the effects of outliers. The plots created by the functions calls make clear the presence of heteroskedasticity in our data-set, and that the variance increases with assay distribution means, a not uncommon occurrence in biological data. Heatmaps using uniform rank-its of the assays, with ranks calculated with respect to the values across samples provide another useful visualization, with the variance of all rows approximately equal to 1/12. The heatmaps indicate notable differences in sample specific distributions. For example, sample 5 provides consistently larger spot intensity quantifications. If you’re hosting a Shiny Server, add these 3 lines after the proxy_pass line inside location /shiny/ as well. If those steps are not taken, then one will not be able to execute shiny apps from RStudio server (i.e., the app will start but the window will “gray” out). Complications may also appear with the R shiny server. However, allowing nginx to proxy Websockets remedies the problems. 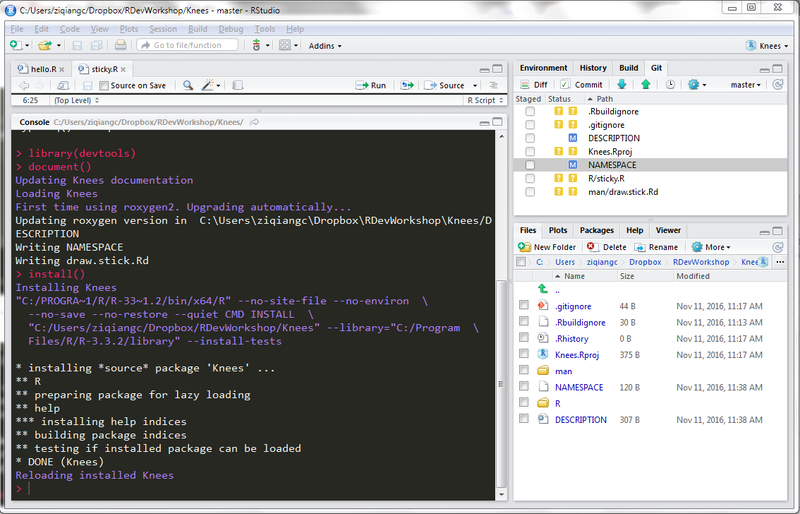 Some materials re: authoring R libraries with R Shiny capabilities using Rstudio and GitHub. Overview: These materials are for our November 11 Biostatistics, Genetics, and Genomics meeting. 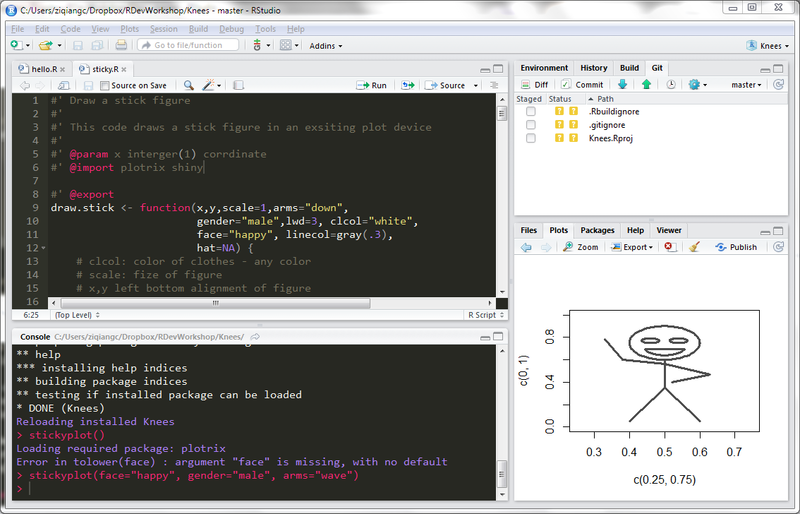 They constitute some notable highlights from a series of talks given by Dr. Martin Morgan as part of his Intermediate R Software Development short course. The image captures and example code below were prepared primarily by Mr. Ziqiang Chen, based upon the materials provided by Dr. Morgan in his course. 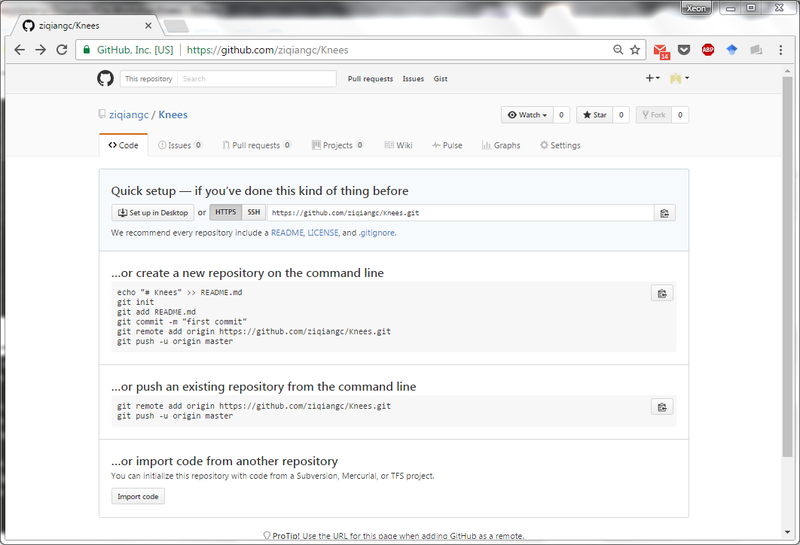 Setting up a GitHub account: https://github.com/ . Create a new project called ‘Knees’. Make sure to make some modfications for the ‘Knees’ package! Install the library and Run the Shiny App! This bit of R code will allow for the creation of a word cloud associated with the abstracts obtained via the pubmed search of a given search string.